Back in August, in my editorial (see Issue 142) I talked a little about the National Trust (and the National Trust for Scotland) and their sometimes unpleasant attitude toward anything vaguely commercial happening around them. Following the feedback we got from our readers (many thanks if you submitted a response), we thought it would be a good idea to send a letter out to both organisations to ask them what their policy is for a range of scenarios. To begin with, here’s the letter we sent. I hope you don’t mind me contacting you directly. You may not be the person I need to get in touch with but you seem like the person most likely to know. I run a landscape photography magazine (On Landscape) and we have been receiving quite a few enquiries about the taking and using of photographic images taken on “non-commercial NT locations” (see bottom for my definition of this). I've tried to find the appropriate information on the NT website(s) to no avail. I was hoping you could find someone who can give some clarity to a few particular scenarios we have had suggested to us by readers (we’re not asking about paid access properties, just open landscape). As advertising for a workshop he hopes to run at a later date? To print out, frame and swap with another photographer for one of their framed prints? To provide as free stock images? The group are just friends? The group are just friends but have paid expenses to the main photographer? The group have paid to be on the course? A photographer takes a photograph of a non-commercial NT location from a public road/path? Is the NT going to prosecute people who gain in non-monetary ways from their work? Can you get retrospective permission to use a photograph commercially? When does leading a few friends on a day in the landscape become something the NT would prosecute? Is the NT limiting use to photographs taken ‘on’ an NT locations or ‘of’ an NT location? Many of our readers want good clarity on these subjects as they see many commercial ventures being undertaken without paying for access (e.g. climbing, walking, kayaking, driving, drone flying) where, officially, it seems like each of these should be paying a commercial use license and from my requests, for each genre there are multiple examples of people and organisations who do not pay. Obviously, the answer to these questions would mean the difference between commercial viability (or not) for some of our subscriber’s businesses. A big thank you for taking time to read this and I hope you will be able to help with our enquiries. The scenarios are obviously to try and elicit whether they are going to differentiate between different levels of payment (i.e. paying in kind vs monetary vs a full course). Neither establishment differentiated between any of these, preferring to treat all commercial endeavours the same. However their approaches were very different indeed. The National Trust for Scotland were quite quick to respond and what we received was a quite pragmatic approach to the issue. We are happy for people to access our land. Due to the Right to Roam legislation in Scotland, people are able to take access to our countryside properties on foot in a responsible fashion in line with the Scottish Outdoor Access Code, whether individually or in small groups. The Code references the specifics for photography. The National Trust for Scotland is an independent charity, so we encourage donations and memberships to encourage our charitable purpose. If for example, someone is taking a group of people to one of our countryside locations as part of a paid photography workshop, the event organiser may consider giving a donation to the NTS or encouraging the attendees to become members of the Trust. If people can credit the National Trust for Scotland and the relevant property featured that would be much appreciated. Drones are subject to separate legislation as they are not subject to access rights. Our drone policy is also available to view in our Visitor FAQs webpage. The National Trust’s response was the polar opposite and suggests that any use that could be seen as commercial (including non-monetary exchanges) and could warrant a legal recourse. Any commercial activity without a landowner’s permission is illegal. Public access granted by the landowner is irrelevant to commercial usage. Otherwise, our pathways would be littered with chip vans for instance. We try to accommodate photo workshops where possible under strict control and normally payment. One of the conditions being no commercial use of the photos or stock usage. Our own image library provides valuable income to the charity and control over where and how photos appear. We naturally charge for commercial model or product shoots. If someone wants to use a photo already taken for personal use for a commercial purpose we may licence such usage and again would charge. This is a more amicable way than involving legal procedures but we would follow a legal route we felt it was warranted. Drone flying is not permitted on or over our land except when part of a professional film crew already shooting on our land and sometimes not even then. We also charge. Some of the other activities you mention can be subjected to licences etc. As much as we want people to enjoy the countryside it does cost money to keep access going. A mile of footpath is approx. £3000 a year to maintain. So it only fair that anyone hoping to commercially gain from our work pays. 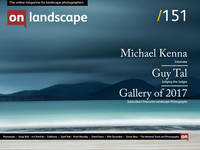 So Scotland is the landscape photographers paradise according to this, go and donate some money to them! (Yeah I know they aren’t, having seen the furore over the Glencoe trademark I realise that they also have their problems). As for the National Trust, I’m not sure how to approach responding to their reply (and if it’s worth doing so at all). The way they are communicating their response reminds me of England’s approach to camping. It’s officially against the law to camp anywhere (unless with the landowner's permission) but in reality, they ignore this if you’re only there for a day (or two). The law sits waiting for the moment they want to use it though. This makes it uncomfortable for people who want to respect the law, understand they can “get away with it” but that in reality they could be prosecuted. The same now goes for photography on NT land in England and Wales. I’m not sure how to proceed with this, whether I should approach NT again or just let things lie. I’d really like some feedback from our readers on what they think of the issue and what they think we could do. I do plan on submitting a freedom enquiry to ask how many people have been prosecuted by the NT however. So - your thoughts in the comments section below, please!! I have no experience whatsoever of the English trusts but I'm not surprised at all that the NTS gave a good response. I work very closely with Scotland's trusts (through the competition) and I have nothing but good to say about them when it comes to photographers. The rangers, staff and volunteers are immensely welcoming and helpful to photographers. Look at the prizes the SLPOTY competition offers to encourage photographers for example - 10 memberships to the JMT, special passes from SNH, Historic Scotland, support by the NTS etc.Regrettably, photographers rarely give anything back to the trusts in return. Indeed, the NTS response in your article hints at this specifically when they said it would be nice if workshop leaders would consider making a donation, but the sad reality is that almost none of them do. It's also worth mentioning that I encounter a lot of entitlement amongst landscape photographers at the exhibitions we put on in trust venues. It's always the tourists who drop a fiver into the collection box but photographers are usually the first to complain and last to put their hands in their pockets. Attitudes need to change, and perhaps, when workshop leaders are taking groups of 6-12 clients up the likes of Goatfell and charging £500 a head they should bear in mind that the paths they take for granted were maintained by the trusts, so dropping a £1 in a collection box isn't too much to ask, is it? And photographers making money from prints or selling calendars should also think about crediting the trusts with the images taken on trust properties because giving the trusts credit raises awareness of the work they do, which attracts donations and new members. It's a win-win and a little less selfishness by photograhers would go a long way. At the risk of being slightly contrary... Trust operates both ways and where people do run business events (like workshops) on land they don't own then it should be licensed and approved by the landowner. I would have thought that a condition of business insurance for that activity (what a potential mess if someone trips over an unmaintained fence for e.g and sues). Secondly we photographers really jump on anyone that uses our work without permission, I see the position as no different if we take pictures from private land for commercial purposes without a licence. Pots and kettles. Technically I cant see how the NT can take any different position however they have come by the land. You cant differentiate between the little guy and the James Bond movie at this level. How they implement that and commercialise it is quite a different debate. Going to Borrowdale for a week to shoot work as a registered business incurs costs for accommodation, petrol etc and why not the licence to shoot too ? For a private individual wandering round taking pictures for personal use it is a non issue, do what you like - just don't try to flog them. I think Colin Bell approach was absolutely right but how many of us do it ? I have run into this sort of problem in Nidderdale taking pictures not from public highway or right of access so its not just the NT who view it like this. I am a lot more diligent now and ask permission before putting images in Calendars or on cards. Interesting debate and personally I can see it from both sides to some extent. I have a few paid workshops that are run on private grounds for which I seek permission in advance, provide public liability insurance, issue H&S and workshop guidelines to clients on the countryside code and what is permissible or not, make a donation or pay a per client fee to the host/landowner and also seek there support to promote my event. This relationship works really well for all involved because becomes a partnership of mutual interest, not just financially but also because photos are provided back to the host for their own use too with the photographer being credited if published. In fact, one such arrangement is used to help produce a calendar for the host/location. I know of "competitors" who run paid workshops at several NT properties in England, but have no idea if, or how they got permission and what the arrangements were. I say this because, whenever I have approached the NT in England, at a local level, no one there seems to know the process, rules or policy. In fact, I ran a small 4hr workshop at a local NT property in the grounds last year with 4 clients - I asked the receptionist what the appropriate arrangements would be and they replied as long as you pay the entrance fee for your clients, if they are not members, then you are just like anyone else visiting and taking photos on the day. Maybe it was the incorrect answer from an official NT policy perspective but it does raise the question of how the NT would go about policing, enforcing and prosecuting anyone who used a photo from "its" land. The fact that they do NOT have a simple and clear procedure to follow for any would be workshop leader or individual leaves everything vague and down to ignorance or willful disobedience/commercial advantage. Just as a thought to throw in, as one of those workshop leaders who is happy to make formal arrangements in advance if this is easy to do when it comes to those NT property sites/grounds but when it comes to the landscape beyond that then meet with us and agree a charter/process/code of practise or whatever you want to call it to give clear consistent guidelines rather than ambiguity otherwise you will simply fail to ever enforce the alternative. I think we should arrange a day where we all visit a NT location local to us. Then we take a raft of abstracts and 'landscapes within' type images. These should be titled loosely but with reference to the general location and shared via something like a dedicated FB group. Can you imagine the fun as they sought to establish (beyond reasonable doubt) that the piece of Moss, clump of grass, swirl on rock etc was really taken on 'their' land? Apparently, nothing has changed since I wrote to the NT to inquire about these matters a few years ago. Their answer back then let me to decide to discontinue my membership, which is not very valuable to me if I cannot use the photographs I make on NT property. Of course the reverse is true as well: I’d be more than happy to renew membership and occasionally donate, if they would not threaten me with legal action when I offer a photograph as a fine art print or use it in a book. I've had dealings with the NT, but they've all been positive - for example, I've taken and sold some photos from Studley Royal Deer park and Fountains Abbey. By "sold" I mean, had printed at my own cost and given away (for charity). I guess that counts as commercial use because I did that via my photography page... which no one ever looks at anyway, nor buys any prints, but that's beside the point. I posted them on the NT North Yorkshire page and Fountains Abbey page i think and the people who admin those pages on here liked them and said very nice things. Clearly all taken from NT land, of NT things. However I've heard many stories of photography friends taking photos of NT stuff, from off NT land and still being told to "lawyer up" for want of a better phrase if they didn't remove and delete the images. Or something equally draconian. It might even have come as a letter or email from a proper legal team somewhere. I do get the fact that the NT need to raise money and whatnot, and sell calendars and books and stuff that they've probably paid a commercial photographer to take and have the rights to... but this is way too heavy handed for my tastes. But I'll still support the NT with my membership, because I get free parking and I like to visit their sites. I think as Matt says above, 'management' people are somewhat out of touch with reality. My partner did some work for a partnership between the NT & Countryside Council for Wales (CCW). She had permission to take the images, and there were no restrictions applied to the images. After they were used for their intended use, the NT asked to use 1 image for 1 leaflet only. She let them have single use of that image. She has since found out that have used that image, and a couple more, without permission or payment. They give her the run around if she tries to ask for money. The CCW however have always asked before using, and always offer money for any image usage.